Is your business getting hammered on credit card fees? If the answer is yes and you’re paying over the odds on your merchant fees maybe it’s time you shopped around for a better deal with your merchant services provider. If you’re happy with your existing supplier, that’s fine, but you may be paying well over the odds. Businesses who have switched are enjoying savings of between €800 – €1,000 year in merchant fees. We think that’s something worth shouting about, don’t you? Just imagine what you could save over the course of three years. Whatever your current rates are, we are confident we can beat them. Available options include countertop terminals, portable, mobile and integrated terminals.Whatever your business, we have a credit card solution to suit you. When you’re running a business, we know how essential it is to save your business money when it comes to the bottom line. Every penny counts, so why give money out of your pocket to large merchant service providers? We will give you a no-obligation quote, so you can see exactly how much you will save month-on-month. We will even help you to become PCI compliant to avoid those recurring hefty monthly fees. If you want to know more, let’s talk about how we can help you make substantial savings. 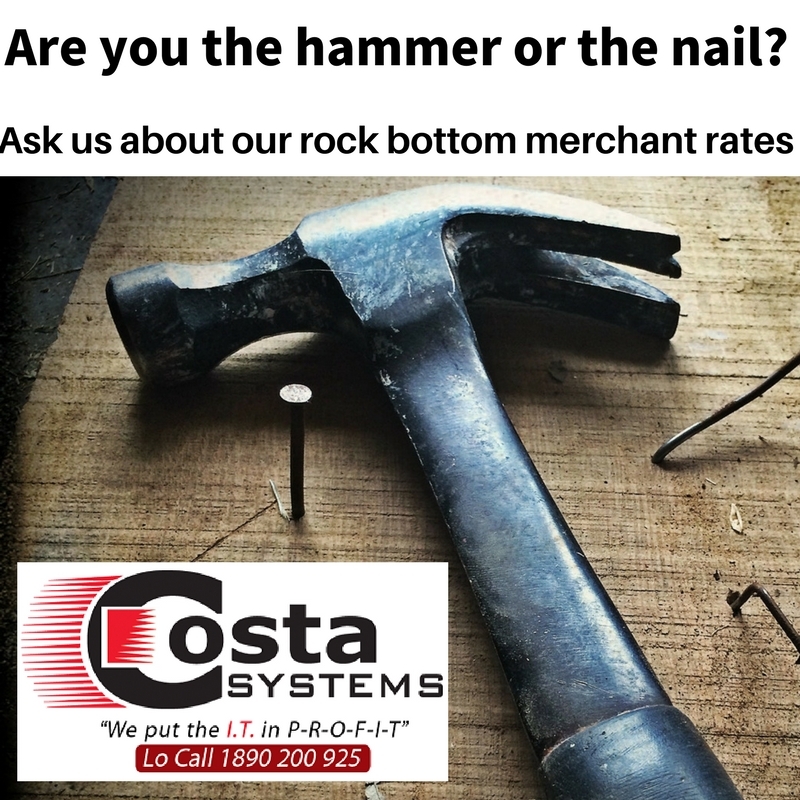 Contact us on 046 903 6061 or email us at sales@costasystems.ie because life is too short to pay above the odds.